Things to Do: The Oval Pop-up Park | Geno’s Steaks | Philadelphia, Pa.
Foodies and beer-lovers rejoice! The Oval pop-up park on Benjamin Franklin Parkway is back again this year with more food trucks, their famous tree-shaded beer garden featuring a wide-variety of fresh brews, and an endless list of fun events for Philadelphians of all ages. 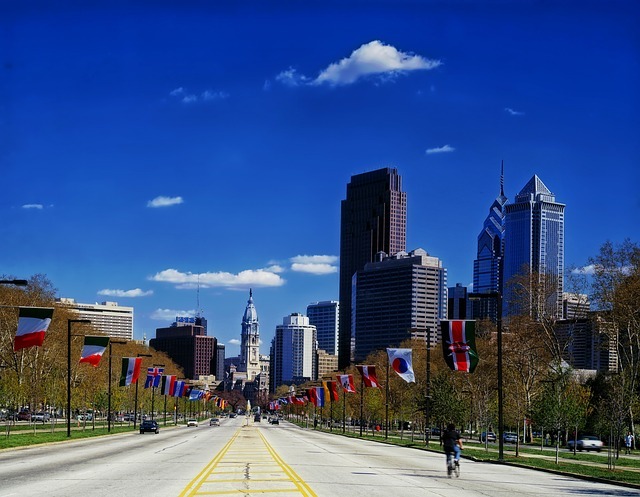 Since its creation in July 2013, the Oval has been at the top of the list for things to do in Philadelphia. From Logan Square to the Philadelphia Museum of Art, visitors can find focal points that were designed to create a narrative about Philadelphia’s use of the park and what changes will be made to the Oval in the years to come. Visitors are encouraged to explore three large open-air “rooms” to explore topics such as Philadelphia’s culture and a dynamic maze that winds throughout the trees to accommodate the rotating schedule of activities. One room will encompass a giant mural of the city, and visitors are welcome to draw onto the city what they imagine their Parkway to look like in the future. Be sure to visit at night when the installations will be illuminated from within, creating a unique sight for everyone to enjoy. Out of all the things to do in Philadelphia, no other event has as much family-friendly fun as the Oval. When you’re done playing a super-sized game of chess and soaking up the sun, head over to Geno’s steaks for an original Philly cheesesteak. We’re open 24/7, so stop by anytime and be sure to check out our new gear store across the street to support your favorite cheesesteak spot!